Background: The main goal of this study was to conduct a comparative population genetic study of Turkish speaking Iranian Azeris as being the biggest ethno-linguistic community, based on the polymorph markers on Y chromosome. Methods: One hundred Turkish-speaking Azeri males from north-west Iran (Tabriz, 2008-2009) were selected based on living 3 generations paternally in the same region and not having any relationship with each other. Samples were collected by mouth swabs, DNA extracted and multiplex PCR done, then 12 Single Nucleotide Polymorphisms (SNPs) and 6 Microsatellites (MS) were sequenced. Obtained data were statistically analyzed by Arlequin software. Results: SNPs and Microsatellites typing were compared with neighboring Turkish-speaking populations (from Turkey and Azerbaijan) and Turkmens representing a possible source group who imposed the Turkish language during 11-15th centuries AD. Azeris demonstrated high level of gene diversity compatible with patterns registered in the neighboring Turkish-speaking populations, whereas the Turkmens displayed significantly lower level of genetic variation. This rate of genetic affiliation depends primarily on the geographic proximity. Conclusion: The imposition of Turkish language to this region was realized predominantly by the process of elite dominance, i.e. by the limited number of invaders who left only weak patrilineal genetic trace in modern populations of the region. of agriculture, pastoralism, and pastoral nomadism. Iranian Azeris as being the biggest ethno-linguistic community, based on the polymorph markers on Y chromosome. and 6 Microsatellites (MS) were sequenced. Obtained data were statistically analyzed by Arlequin software. of genetic affiliation depends primarily on the geographic proximity. of Seljuk Turks, a clan of the Oguz Turks (8). replacement, as in Turkey and Azerbaijan (1). that had pre-existed in Iran. crossroad for human dissemination (3, 11, 15-18). from all individuals before samples were taken. this data set was conducted only at STR markers. were assigned according to Kayser et al. (26). Biosystems) and 12 ul of de-ionized formamide. the exact test for population differentiation (27, 29). was performed by bootstrapping method (30). distance between two copies of the same sample. of these groups based on haplogroup frequencies. Eastern Turks (19.51%, 14.63% and 10.98%, respectively). only in Azeris and Azerbaijanis. between Azerbaijanis and Eastern Turks. differences (P< 0.0001, Table 1). and Azeris) and are absent in Turkmens. the rest of Turkic-speaking populations studied. and/or intense genetic contacts since ancient times. of the groups (Fig. 2). Turkey could have been rather limited. with Turkmens than with their immediate neighbors. rather than demic diffusion model (35). also by the results of CinnioOlu et al. (21). signal in modern populations of the region. Joining method for phylogenetic inferences. 1. Cavalli-Sforza LL, Menozzi P, Piazza A (1994). for bidirectional corridors of human migrations. Am J Hum Genet, 74: pp. 532-44.
nexus for Y-chromosome driven migration. SM, Mahjoubi F, Sharma P, et al. between Iran and the Arabian Peninsula. 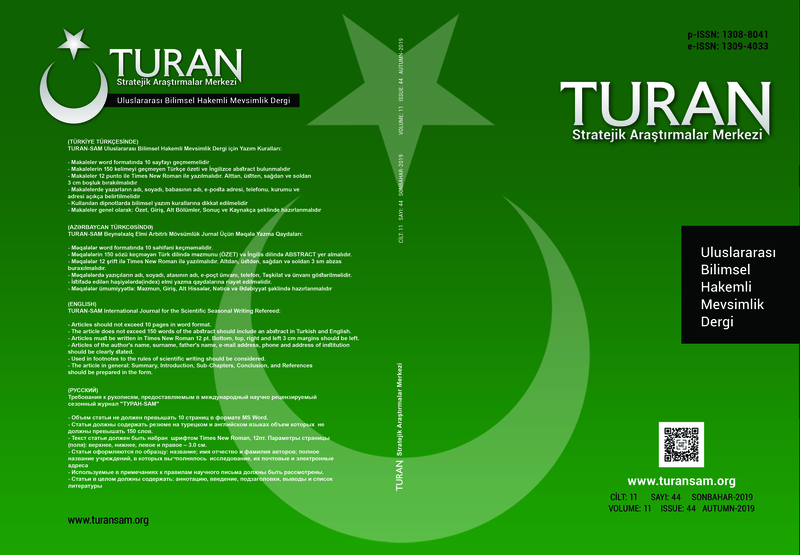 17 February 2011; doi: 10.1038/ jhg. 6. Edwards IS, Gadd CJ, Hammond NL (1971). in Europe. J Eur Archaeol, 3: pp. 33-70. The Puzzle of Indo-European Origins. DM, Sayar H, Scozzari R, et al. (2004). corridor. Am J Hum Genet, 74: 827-45. Tarazona-Santos E, Kayser M, et al. genetics. Plenum, New York, USA. Johanson L, Crato E (eds) The Turkic languages. demarcation. For Sci Int, 158: 140-48.
in an Iranian Sadat population. Russ J of Genet, 45: 969-73. Hall O, Bradman N, Thomas M (2001). group. Hum Genet, 109: 659-74.
in Anatolia. Hum Genet, 114: 127-48. 49 doi: 10. pp. 1186/1471-2156-10-49. M, Alavantic D, Amorim A, et al. (2000). 24. Thomas MG, Bradman N, Flinn HM (1999). Y-chromosome. Hum Genet, 105: 577-81.
study. Int J Legal Med, 110: 125-41. 27. Nei M (1987). Molecular Evolutionary Genetics. 28. Excoffier L, Laval G, Schneider S (2005). package for population genetics data analysis. Evol Bioinfo Online, 1: 47-50. T, Bradman, N, Goldstein DB (1998). Africa". Am J Hum Genet, 66: 674-86. MG, Bradman N, Goldstein DB (2001). Am J of Hum Genet, 60(5): 1174-83. SA, and Stoneking M (2008). in Iran. Ann Hum Genet, 72: 241-52.